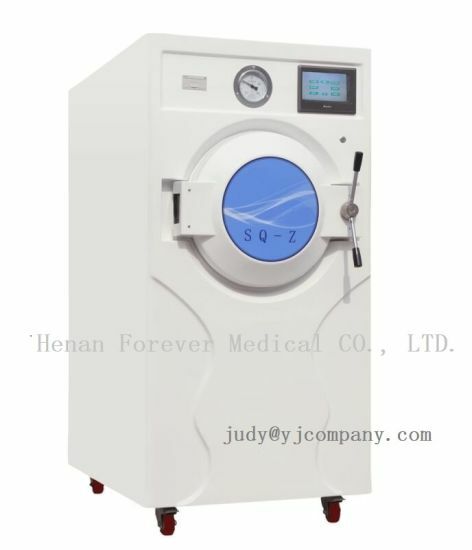 Plasma Sterilizer, Sterilizer, Horizontal Steam Pressure Sterilizer manufacturer / supplier in China, offering 130L Hydrogen Peroxide Plasma Sterilizer (full automatic type), ICU Medical Equipment Multifunctional Anesthesia Machine, Medical Inatrument Orthodontic Products Portable Dental Xray Equipment and so on. Full automatic control system: LCD touch screen display, PLC intelligent control system from Germany Siemens. 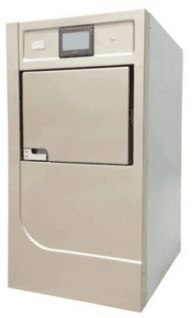 One button to control from start to end and finish automatically with showing temperature, pressure, sterilization time. The system can maintenance and upgrade. Adapting to micro printer to printing each data of every minute during the sterilization process, also can storage permanently. Pressure sensor: Inner with pressure sensor which imported from Japan to check chamber pressure automatically, to ensure that the chamber pressure is accurate and effective. Temperature sensor: Inner with temperature sensor to check chamber temperature automatically,to ensure that chamber temperature within precise range of 50ºC ±3ºC. Sealing door: Automatic door to opening and closing, easy operation, good sealing performance,. With anti pinch function, such as induction to people or objects to stop the door, the door will stop automatically, in case of hurt people and cause unnecessary economic losses. Hydrogen dioxide purification Research and develop high concentration purification system independently, to fill the gaps in domestic. 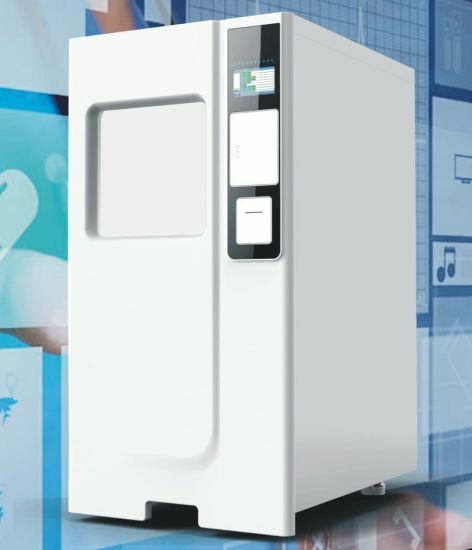 Automatic dosing Domestic first invent automatic dosing in precise number. 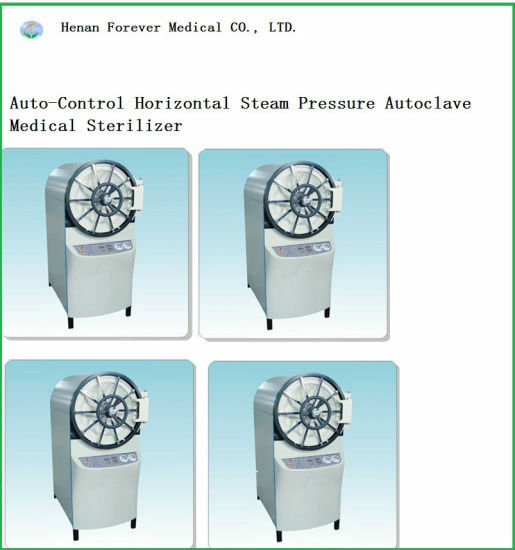 High effect sterilization Domestic first invent that can make cavity instrument disinfect thoroughly from 2 meters to 4 meters. Heating system: Adapting to anti-explosion and fire resistance heating system, temperature is more precise, more convenient and fast. 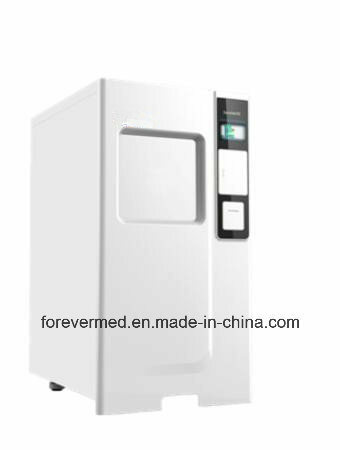 Various protective function: It has set up over temperature protection function and show on LCD screen if fault, to make the after sales-service dealing with fault more efficiently.